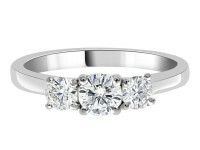 “Helen” a round brilliant cut diamond engagement ring. 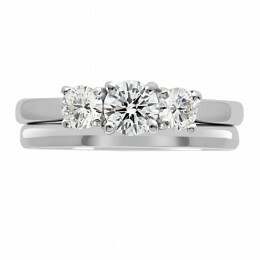 A beautiful round brilliant cut diamond centre stone with slightly smaller round brilliant cut diamonds set on either side. 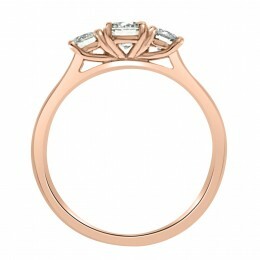 This ring may also be made with pavé set diamonds on the shank. 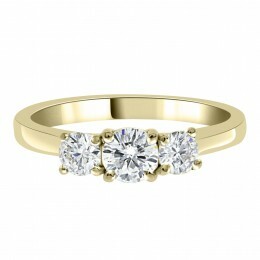 This is available in white gold, platinum, yellow gold or rose gold. It also has a selection of plain/patterned and matching diamond wedding rings. 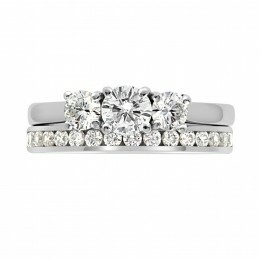 The ring pictured has a .55ct F VS2 round brilliant cut diamond certified by HRD. 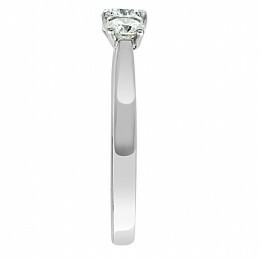 The combined carat weight is .95ct. 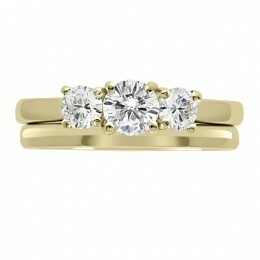 This style of ring is available starting from €2,200.